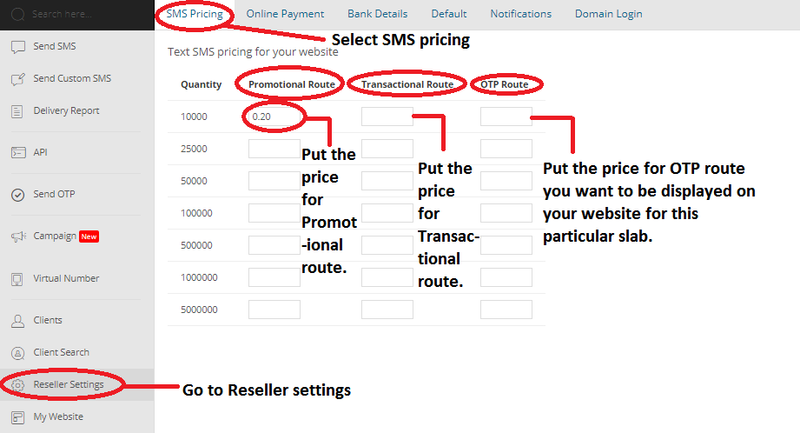 1.Go to Reseller setting option. 2. Click on SMS Pricing in the menu bar. 3. Add your desired pricing in the fields.